Walgreens presented Heading Home with a $12,000 check from their register donation project that took place in September of last year. Nusenda awarded Heading Home $5,000 from their Community Rewards program, which works towards creating positive change in our community. 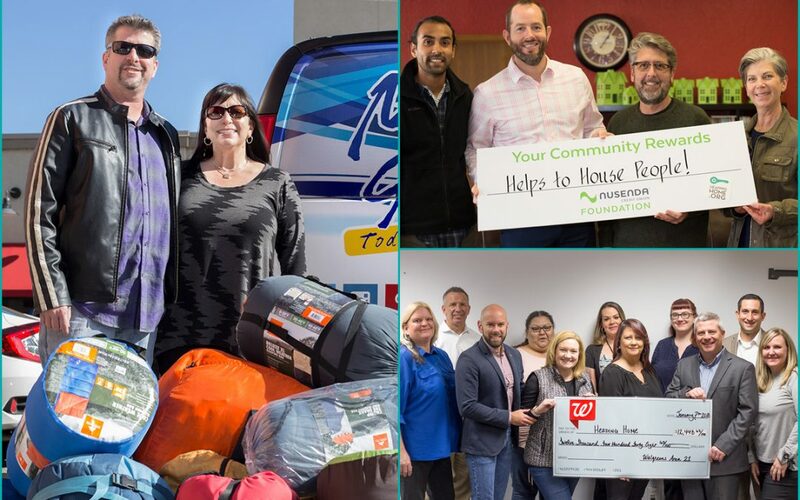 Magic 99.5 morning show personalities Doug and Duran challenged their audience to make a difference and received over 60 donated sleeping bags. Heading Home was happy to be one of three service-based organizations chosen to distribute to our clients. Community-wide investment is the only way to make a sustainable impact on homelessness in Albuquerque. We laud these organizations for their investment and partnership!